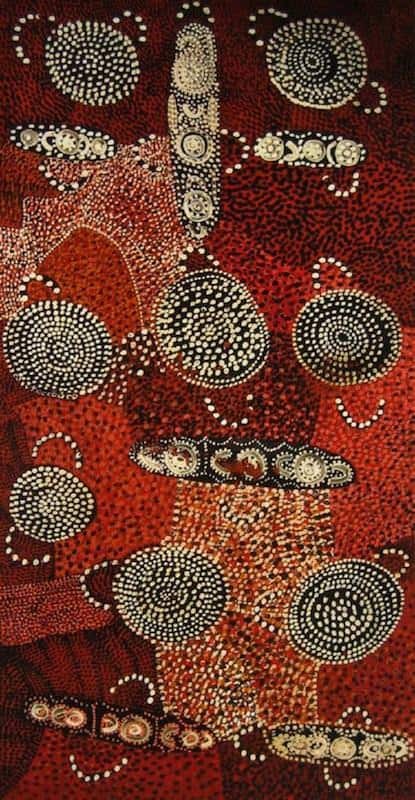 Charlie Tarawa Tjungurrayi was one of the pioneering artists of the Western Desert Aboriginal art. He also sometimes called Chalie Taruru. His paintings often have a vigorous presence and depict sacred subjects. 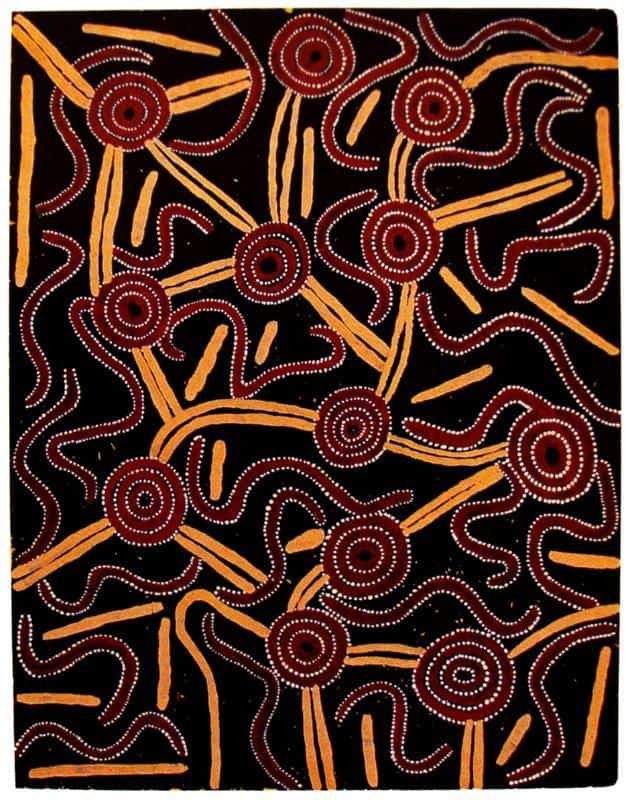 In the early part of his career, Charlie Tarawa Tjungurrayi painted on small bits of board. 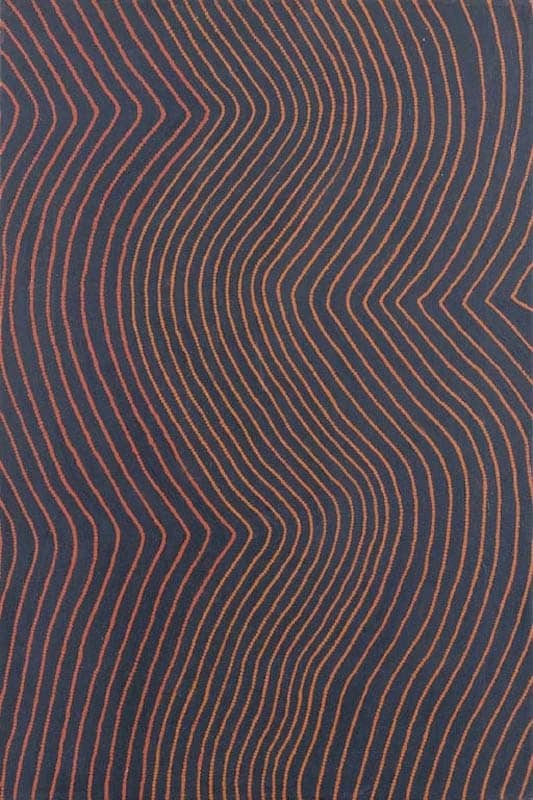 He went on to become one of the most vital figures of the aboriginal art movement. Many of his early works are ritual and contain secret imagery meant only for the eyes of initiated men. His later works are on Canvass and often maintain his earlier intensity of imagery. 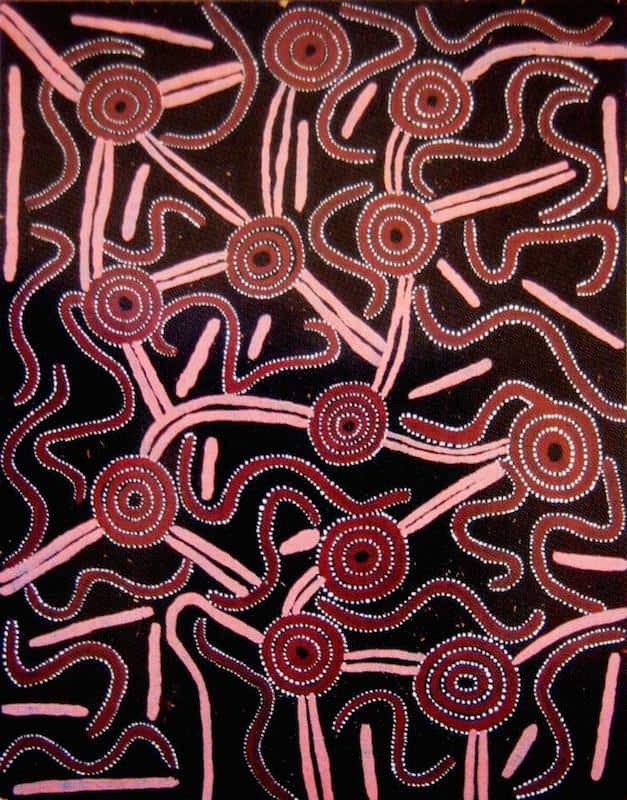 The aim of this article is to assist readers in identifying if their Aboriginal painting is by Charlie Tarawa Tjungurrayi. It compares examples of his work. It also gives some background to the life of this fascinating artist. 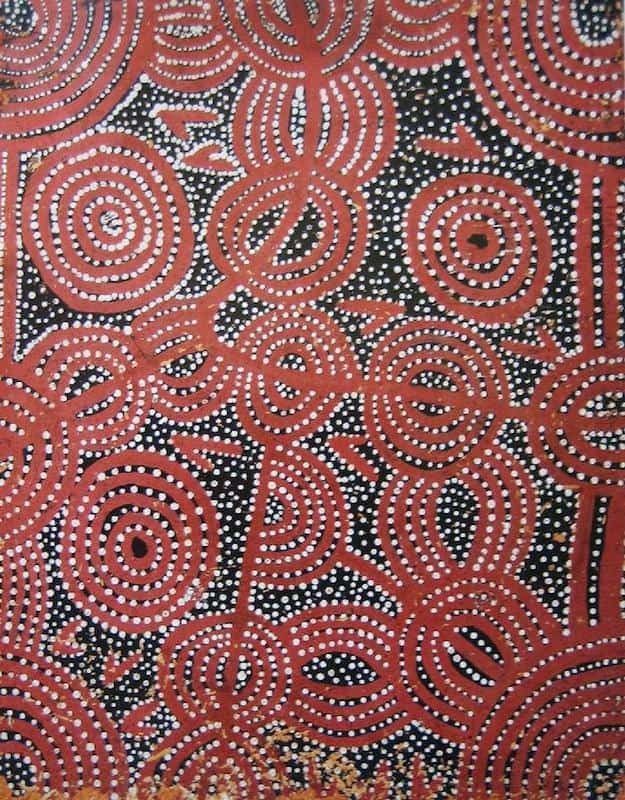 If you have a Charlie Tarawa Tjungurrayi Aboriginal painting to sell please contact me. 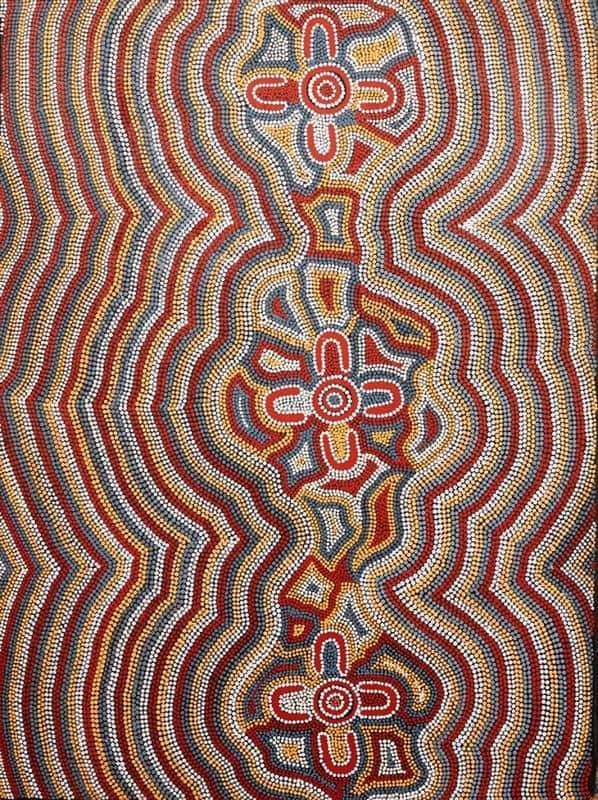 If you want to know what your Charlie Tarawa Tjungurrayi painting is worth please feel free to send me a Jpeg. I would love to see it. Charlie Tarawa Tjungurrayi was born west of the Kintore Ranges in Pintupi country. He first met Europeans as a youth and in his early teens lived at Haasts Bluff. By the Second World War, he had moved to Hermannsburg mission and learned a trade as a builder. His skills as a builder later took him to Adelaide where he helped build military camps. 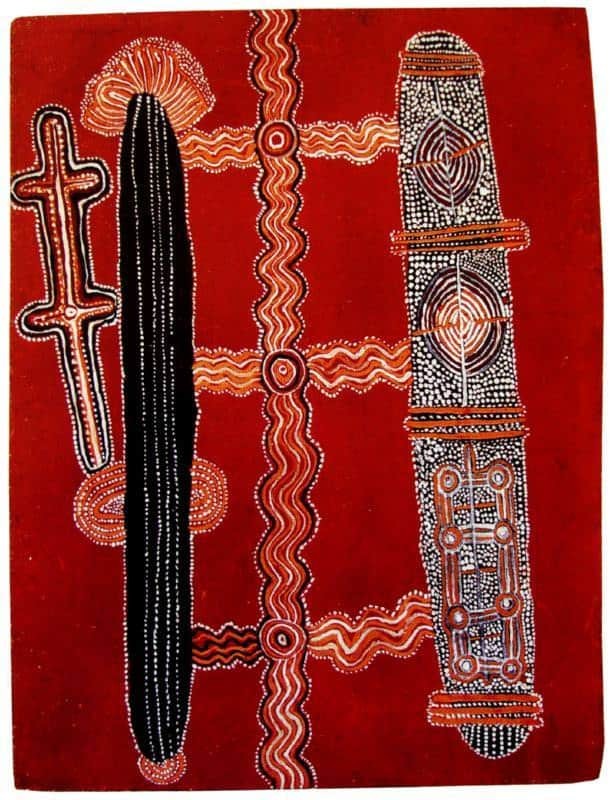 Charley Tawarra Tjungurrayi enthusiastically applied himself to the painting group. It was a way of reconnecting with his home country through art. His strong English and understanding of both cultures made Charley Tawarra Tjungurrayi a natural go-between for Bardon. He helped guide and explain, on both sides of the cultural divide. He was a key figure for the financial and cultural transactions that were the basis of a fledgling art business. 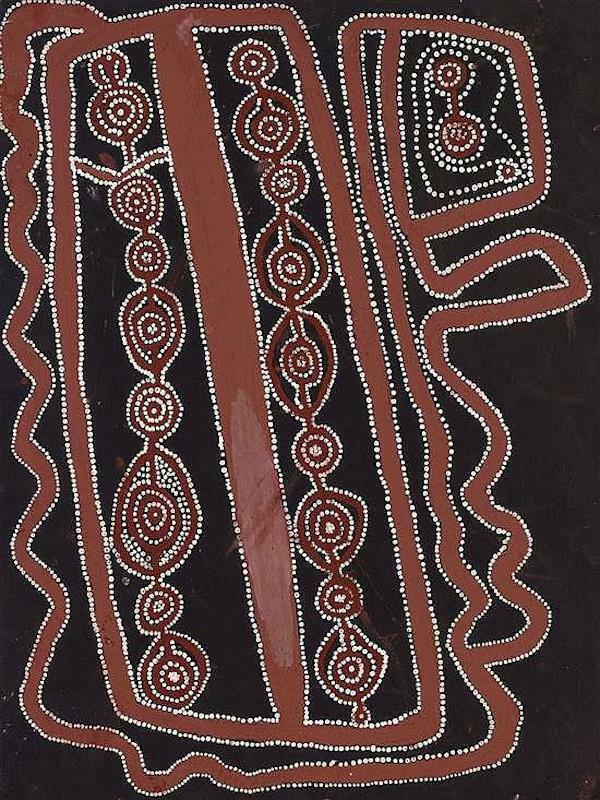 Charlie Tawarra Tjungurrayi was also the eldest of the many Tjungurrayi skin painters.These painters included Shorty Lungkata and Yala Yala. As the elder, he had authority but also looked after their interests. It was Charlie Tarawa Tjungurrayi who suggested to Bardon in 1972 that the newly established company be called Papunya Tula. Papunya Tula literally meaning ‘a meeting place of brothers and cousins at the Honey Ant place’, the small hill that looked over the Papunya settlement. When Andrew Crocker came to Papunya as the new art advisor in 1981, a strong friendship developed between the entrepreneurial English man and Charlie Tawarra Tjungurrayi. Crocker brought Charley Tarawa into the limelight, as a leading artist. They traveled together to America and Europe. In England, Charlie Tjaruru even met with Queen Elizabeth the second. Charlie Tarawa did eventually return to live in his Pintupi country, 25 years after he left it. Charlie Tararu lived an eventful and extraordinary life. Today his art resides in collections around the world. 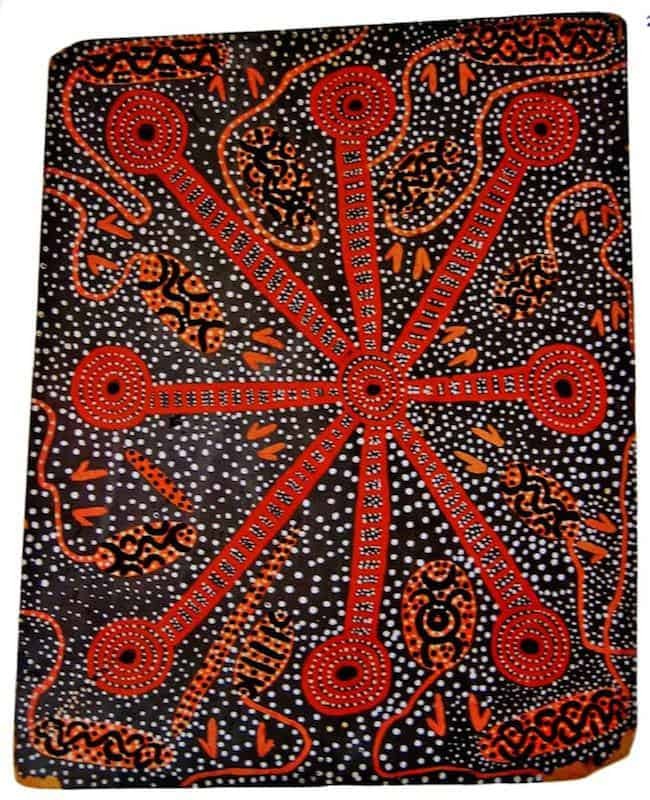 Charlie Tarwarra Tjungurrayi also painted some fast and lower quality art to sell to make money. These pieces lack the spirituality of his earlier works and have little value.